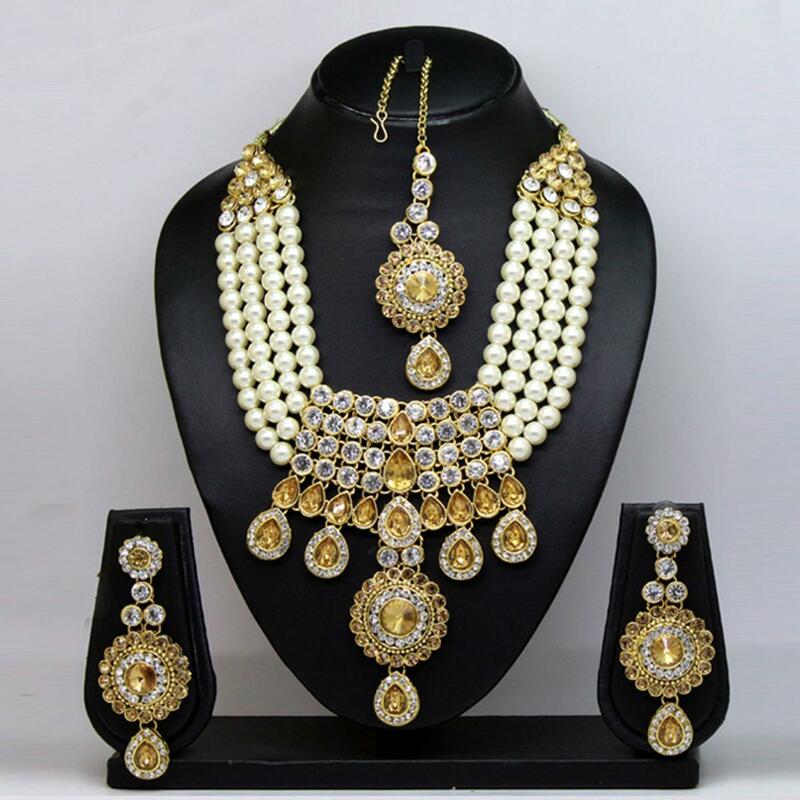 Give a trendy & stylish definition to your wardrobe with this white colored necklace set. 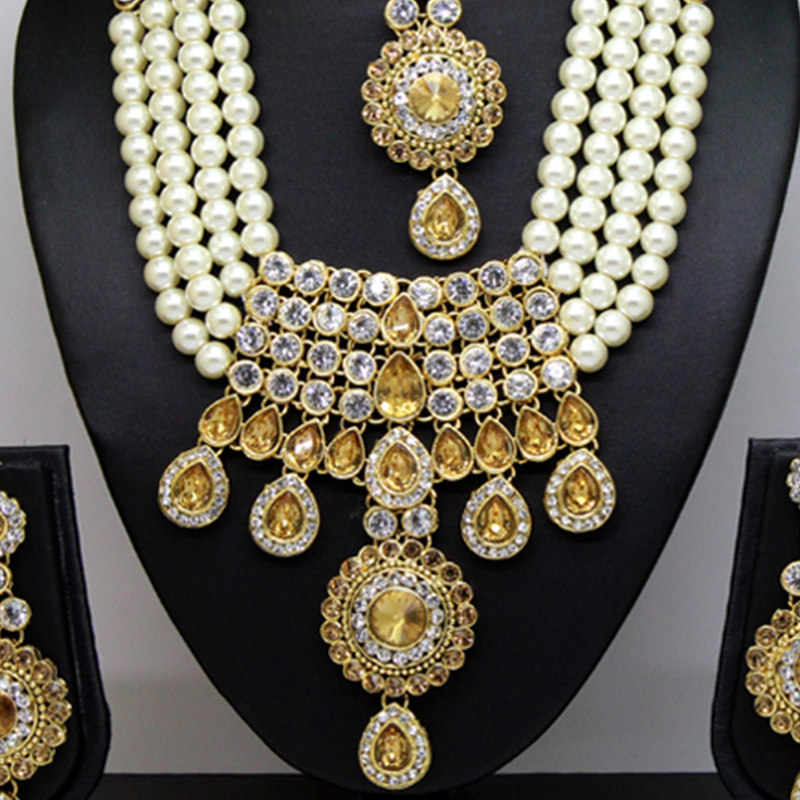 This beautiful jewelry has an excellent finish with stones studded and pearl work in a gorgeous pattern. Get ready to dazzle at your next social gathering in this shimmering creation. It is made from high quality material that makes it very skin friendly, anti-allergic and safe for skin. 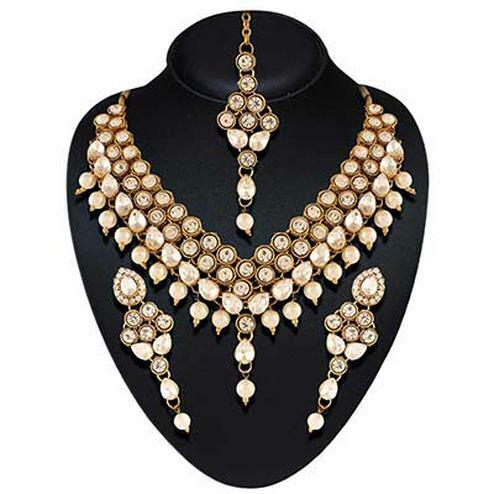 Fashion jewelry lasts longer when kept dry and free of chemicals. Follow this simple rule: Your jewelry should be the last thing you put on and the first thing you take off.